Law students – like all students – are prone to anxiety about their career prospects. 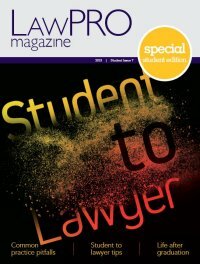 High-profile news about the employment challenges faced by new grads in the U.S. and changes in the articling requirements for Ontario have combined to create a climate of worry. But worrying about trends and generalizations can obscure the fact that the employment relationship is, in essence, an interpersonal relationship. Each successful employer/employee match happens because an individual firm takes a chance on an individual lawyer for reasons that are not only unique, but also personal, and sometimes instinctive. We spoke with law firms across the province about their recruitment strategies, priorities, and philosophies. What emerged from that discussion was the realization that there is considerable variety in the factors that inspire a firm to make an offer to a particular candidate. Considering the limitless variety of law school graduates, we figure that’s good news. Read the profiles that follow to see what some Ontario firms are looking for. Chances are, someone out there is looking for YOU. Whether we’re hiring a law student – which is the primary source of new lawyers for firms such as ours – or an associate or a new partner, we look at what we call “buckets” of skills that help us determine if that individual will be a successful lawyer with McCarthy Tétrault. Depending on the level we’re recruiting for, what we look for in each of those buckets will differ. For example, with law students, who often have less work and life experience than candidates at other levels, our focus is on those qualities that you cannot train for. So we have a bucket of skills that fall into the “legal acumen” category: evidence of sound judgment, strong analytical skills, a demonstrated genuine interest in the areas in which our firm practises. Similarly, we’re keenly aware that we are in the business of serving clients, so we have another bucket of skills around “service orientation” – such as demonstrated good interpersonal skills, the ability to work as part of a team, good communication skills and the like. These skills I have mentioned for the most part are hard to teach, so we need to focus on them in evaluating candidates before we hire them! 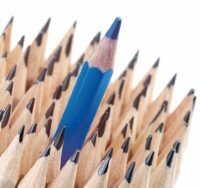 A large firm such as ours needs a focused, deliberate talent management strategy that responds to the fact that we have different people with very different needs. we’ve built a framework for helping us retain top talent that we’ve trademarked: McCarthy Tétrault advance. It’s a platform for talent development that has eight components such as coaching, work and opportunity allocation, compensation and recognition, and capability development. at any time, we have various initiatives underway nationally in each area. It is hard to put my finger on the single most important attribute we look for when we hire. There are a handful of “must haves,” such as a good legal mind, a strong work ethic and a personality that facilitates effective communications with clients, opposing counsel, witnesses and judges. To be a good litigation lawyer, you must be able to read people, and make it easy for them to read you. You must also be willing to learn, which means being highly inquisitive, if not perversely curious. The most effective advocates make the fewest assumptions and ask the most questions. There is nothing more irritating than a know-it-all who jumps to conclusions and sees every file as a chance to show off his or her abilities. If I had to pick out the most important criteria we look for when we hire, they would be integrity and fearlessness. The most important thing our clients buy from us is our reputation. If opposing counsel and judges can’t be certain that they can trust us, we are useless to our clients. we need to be certain that any lawyer we hire will not compromise the firm’s reputation in this regard. Fearlessness is the other side of the same coin and no less important. Retaining good lawyers has not proven to be as much of a challenge as finding them in the first place. The key is to make their practices stimulating. we try to find a balance between training, and handing off as much responsibility as possible. It’s far more interesting for lawyers to work on a file, or some part of a file, where they have primary responsibility and feel that they are answerable to the client and the court. Brains. Passion. Integrity. It’s not one but the complete package. Brains because the practice of law is not what it used to be. Clients are sophisticated and expect the same high standard no matter what the task. There is no room for cutting corners or substandard work product. That means you need to be able to understand what’s expected of you – and deliver. Just because you had the best marks in law school doesn’t mean you have what it takes to be a great lawyer. Client satisfaction is the ultimate litmus test. Passion because the legal profession is now more than ever a very stressful and unforgiving calling that has lost many of the professional perks that would otherwise temper the bad days. The reality is if you don’t love what you do the drudgery will eventually bury you and you will end up resenting the profession and us. Integrity because trust and civility are more important today than ever in law practice. we try to take a team approach on many matters. Trusting those who take carriage of a file when you are away is essential. we need to know that each of us is representing the firm with complete integrity, honesty, and civility. we are very fortunate in the north that the local bar has always and continues to share this view. For a firm such as ours – a smaller, more local firm that is located outside a large major centre – though you sometimes fall upon a star looking to relocate, the reality is that we have to develop top talent internally. So we try to find bright young lawyers who are a good fit and work with them. we take our juniors and incorporate them into files right from the start: they share in the responsibilities, but also in the learning, the rewards and the credit. That willingness to share and work as a team has proven to be very effective and has developed their talents early and kept them engaged. we see students and new associates as the freshest legal minds we have… we are excited to work with and learn from them and draw on their energy and creativity. As a firm located outside a major centre, we find there is no better indicator as to whether a lawyer will prove to be a good fit for the long term than his or her ties to the community. Toronto and Ottawa have obvious attractions to a variety of people from across the province. While we believe that there are many good lifestyle reasons for someone to want to practise in Niagara, we find that people who come and stay tend to be those who have a history here. Obviously there are exceptions but that is our general observation. Make them a part of the team. Involve them in interesting work and make sure they understand their value (to the firm). Help them to take the long view. we sometimes forget that life as a young associate trying to build a practice is challenging; they need to understand the rewards that are there in the long term. It is always a little dispiriting to see someone pursue an option for a quicker buck when you feel they are making a mistake. Make sure that they feel that they belong and that belonging is a good thing.